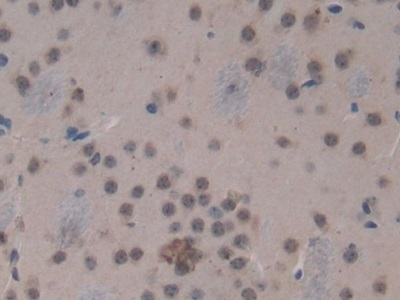 The antibody is a rabbit polyclonal antibody raised against HSD17b12. 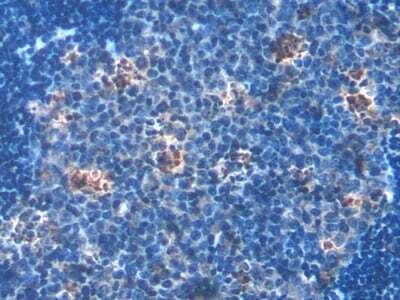 It has been selected for its ability to recognize HSD17b12 in immunohistochemical staining andwestern blotting. 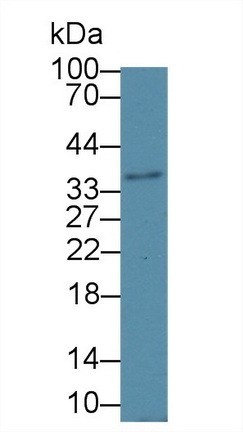 Recombinant HSD17b12 (Met1~Asn312) expressed in E.coli. 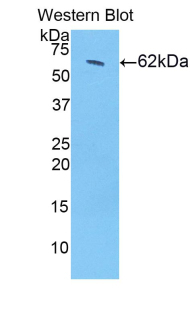 Small volumes of anti-HSD17b12 antibody vial(s) may occasionally become entrapped in the seal of the product vial during shipment and storage. If necessary, briefly centrifuge the vial on a tabletop centrifuge to dislodge any liquid in the container`s cap. Certain products may require to ship with dry ice and additional dry ice fee may apply. NCBI/Uniprot data below describe general gene information for HSD17b12. It may not necessarily be applicable to this product. HSD17B12: Catalyzes the transformation of estrone (E1) into estradiol (E2), suggesting a central role in estrogen formation. Its strong expression in ovary and mammary gland suggest that it may constitute the major enzyme responsible for the conversion of E1 to E2 in women. Also has 3-ketoacyl-CoA reductase activity, reducing both long chain 3-ketoacyl-CoAs and long chain fatty acyl-CoAs, suggesting a role in long fatty acid elongation. Belongs to the short-chain dehydrogenases/reductases (SDR) family. 17-beta-HSD 3 subfamily.